100 granny flats a week are being constructed in Sydney (up 300% in five years) as homeowners see a growing opportunity to earn up to $420 per week in rental income or accommodate their elderly family. ‘Granny flat’, ‘grannexe’ or ‘fonzie flat’; there are many names but the concept is the same. Build a cheap expansion > earn or save money. Research suggests about one in five Australians live in a multi-generational household — and that number is on the rise. Canada has seen a 40% rise in multigenerational households, and about 64 million Americans (about 20% of the population) have multiple generations under one roof. We’ve been hurtling towards the cliff of an ageing population for some time now. Who’s going to look after the elderly? Who’s going to pay for the elderly? Can we ensure a good quality of life through all these hurdles? What happens when our parents grow old and possibly become widowed? Do we put them in nursing homes? Semi-retirement homes which offer privacy and social opportunities are becoming more popular. Whether the responsibility comes onto us is a deeply personal issue which differs massively person-to-person packaged with many challenges and politics within families. And land we have no shortage of. Australia, after the US, has the second largest houses in the world. Most of the housing market still comprises of this ‘McMansion’ homes with a ludicrous amount of spare room for the occupants. This has resulted in a never-ending ‘urban sprawl’ which is why it takes more than an hour to drive through Sydney in off-peak traffic. So it’s no surprise that the average floor size of a new Australian home is now 186.3 square metres, the lowest in 22 years. And that’s where granny flats come in, as a way to downsize and monetise. In 1911 there were 4.5 family members on average living in the Australian home, nowadays that number is almost halved to 2.5. Traditionally, it was the norm to have a multi-generational household including grandparents, parents and children. Even newlyweds remained in the family home until they saved a mortgage deposit until recent generations. The name ‘Fonzie Home’ is derived from the 70s US hit show Happy Days (set in the 50s) where the character Fonzarelli would sleep in a converted loft with his entire family. This generation’s memorable sitcom was Friends, set in the 90s, it emphasised modern living in smaller spaces with friends instead of family. These shows are important cultural reflections of society and show just how much has changed in 40 years. Now it would appear we have gone full circle since the days of entire families living in the same home. What will be the next viral sitcom to rock the world, to reflect this change back to multigenerational living? We are increasingly independent beings, with more single and couples dwellings becoming the average household. It’s unlikely then, that a person would suddenly move an elderly relative into the blissful silence and freedom of independent living. We have to renegotiate the terms of an adult relationship between Generation X & Y to suit our modern needs. “For many, it is important not to live in the same house, but nearby,” said Anne Hollonds, a psychologist and director of the Australian Institute of Family Studies, a government body that researches family well-being and welfare issues. “Close enough to be together but enough room to be apart,” Granny flats can provide the older generation, particularly those who do not mind less space, with a degree of independence, autonomy and distance. With both parents hard at work, children are often lumped with nannies or after school centres. However, there is financial, social and personal value in having elderly relatives living close by to nurture the kids. 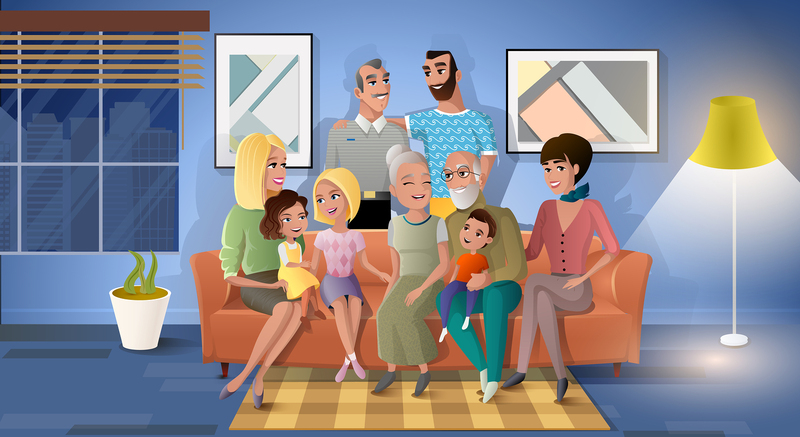 Dr Edgar Liu from the University of New South Wales said: “The fastest growing age group for multi-generational household members are over 65s, partly because there aren’t that many that lived in this kind of arrangement back in the 1980s. In the survey that we did, more than half of the people said that finance was one of the reasons why they did it,” he said. Cheap building materials including pre-fab, flat pack, custom-built and transportable, multiplied by unsustainable rising house prices, create a perfect potion to bring the elderly back into our lives. An entire industry has sprung to provide granny flats for our ageing population, another point for capitalism! Today, you are spoilt for choice as there is a multitude of options from the extremely cheap to the luxury in all corners of Australia. Assembled in 4 hours ……..
100% profits go to charity …….. When you have chosen your granny flat and got your costs calculated, you have to evaluate building regulations in your area. Recognising the demand for granny flats, the state governments have come a long way in recent years to streamline the process. At the very minimum; all flats and extensions must comply with both the Building Code of Australia and any relevant Australian Standards. But planning permission can vary widely. Granny flats may be rented out in Western Australia, the Northern Territory, Tasmania, NSW and ACT, but cannot be offered as rental apartments in Queensland, Victoria and South Australia. 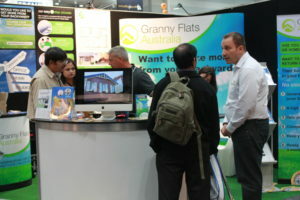 There are also rules about how big a granny flat can be based on the property size. In Queensland, the minimum lot size, maximum flat size, required setbacks and rules about who can live in a granny flat differ from one council to the next. Affordable Rental Housing – State Environmental Planning Policy (SEPP)……….. Meanwhile, in Victoria, a granny flat can only be rented to a person dependant on a resident of the main dwelling. NSW, which has the highest overall demand for rental accommodation, allows granny flats to be rented and even built over garages in new developments, subject to council approval. For the retiree, a trip to CentreLink is in order to clear up the impact of rental income on their benefits. “For example, if the flat is being rented to a grandmother or another relative for a nominal amount, it would not be regarded as a commercial transaction and neither the income nor the expenses would be taxable or tax-deductible,” says Mark Chapman, director of tax communications for H&R Block. Those of you lured in by dollar signs must evaluate all the risks before committing to such a big project on their home. 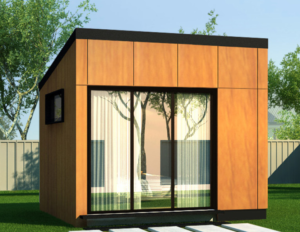 Some of the cheaper pre-fab structures mentioned earlier look like a great investment but you still have to ask ‘will they stand the test of time?’ And remember, you cannot separate your ownership title and sell your granny flat separately. Finally and perhaps most importantly, living with or near your family can come with plenty of challenges and risks and is definitely not for everyone. “One of the things people like most about living in this arrangement is the companionship, but of course when there are so many of you living in the same house, you are bound to rub each other up the wrong way every now and then,” warned Dr Liu.